How many times in life does one touch history? And how often does it come in the form of a greasy, shop-worn notebook that’s held together with disintegrating adhesive tape because it’s been thumbed through thousands of times. My chance came when I found myself gingerly turning the pages of the yard book that once belonged to William Fife III, who designed and built yachts so pretty and good, they elicit a fair amount of raves and poetic waxing. I don’t know whether Fife liked poetry or considered himself an artist. At least in his day job, he was a designer, engineer and scientist, judging by the book that lists all of his creations from 1896 to 1938. Many of them slid off the ways at his yard in Fairlie on the Firth of Clyde in Scotland, a place surrounded by massive hills and cursed by a flat and sandy shore that is patently unsuitable for launching any type of yacht with a deep draft. It did not matter; Fife had to make it work. 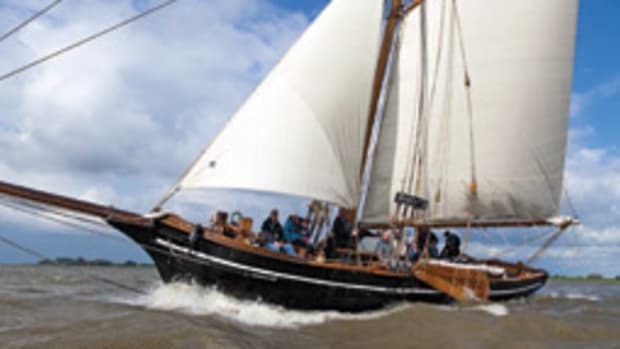 Quite a few of his vessels survive and are still feted at classic-yacht regattas: the two Moonbeams, the 15 Meters Hispania, Mariska, Tuiga and the Lady Anne; Mariquita, the last survivor of the 19 Meter Class; and Yum (built in Ireland by Gridiron & Marine Motor Works), the gaff-rigged sloop that became Pen Duick, the boat Eric Tabarly sailed all his life until his tragic death in 1998, when he was lost overboard on his way to Scotland. To a Fife rendezvous, no less. 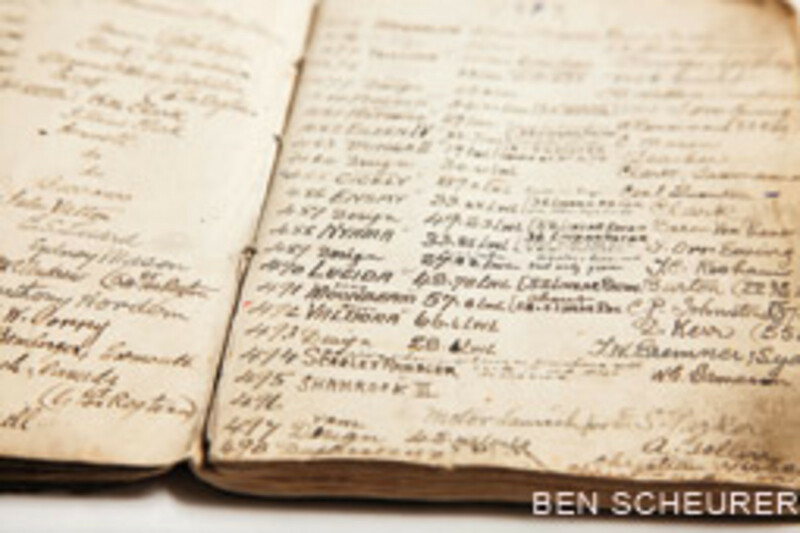 In the Fife yard book, the boat names and build numbers are all neatly written in ink but in different handwriting. In the back there are calculations and sketches in pencil that offer more insight into the thinking of a man who has been credited with the construction of “yachts that were fast and bonnie.” Fife was, and still is, a hero to Scots and fans of classic sailing yachts, especially in the U.K. So it’s an ironic twist that this magic little book found its way to Germany, of all places. It was purchased at auction from Charles Miller Ltd. by Volker Christmann from Wiesbaden on the Rhine, who collects books about yachting history. His winning bid was 3,840 English pounds (about $6,100), nearly four times what the auctioneers expected. The book has had very few owners: Fife himself and the buyer of his yard in Fairlie, who gave it to a friend who auctioned it. Fife’s grandniece Mae, who knew him, verified the authenticity. The bidding, Christmann says, was spirited and competitive. He did not attend the auction but participated over the phone. His direct competition was a consortium that tried but failed to place the winning bid. He has not gotten any angry calls from the British classic-yacht establishment demanding a national treasure back, Christmann jokes, but he has heard through the grapevine that there was disappointment about the book moving from the Clyde to his library in Wiesbaden on the Rhine. Few families, save perhaps the Herreshoffs in the United States, have influenced the history of yacht design as much as the Fifes, who were in business for a century and a half. 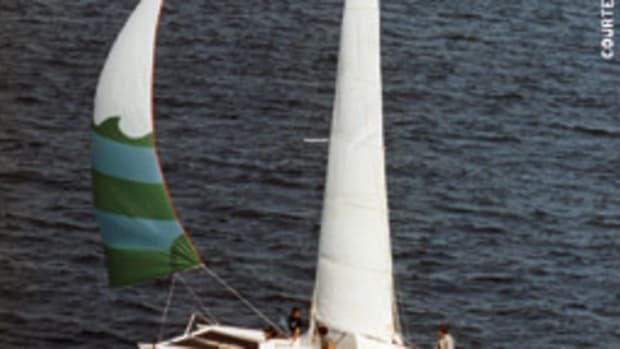 They were catalysts in turning sailing into a leisure activity for the moneyed aristocrats, bankers and industrialists who sought diversion, recreation and competition on the water. Fife III (1857-1944) was born into a shipwright’s family that had started with his grandfather, William Fyfe (sic), who was a carriage-builder by trade. He tried his hand at boatbuilding and happened to be very good at it. A notorious stickler for detail and not given to superficial pleasantries, old Fyfe turned out good-looking and well-founded steamers and capable fishing boats. The venture was not a big financial success, but it endured. His son, William Fife II, took over in 1839, raising the craftsmanship to yet another level with neat-fitting planks that produced tight hulls and a good turn of speed. When the racing cutter Fiona (a.k.a. the Fawn of Fairlie, launched in 1865) started to clean up at all of the important regattas, Fife didn’t have to worry about business for a while. 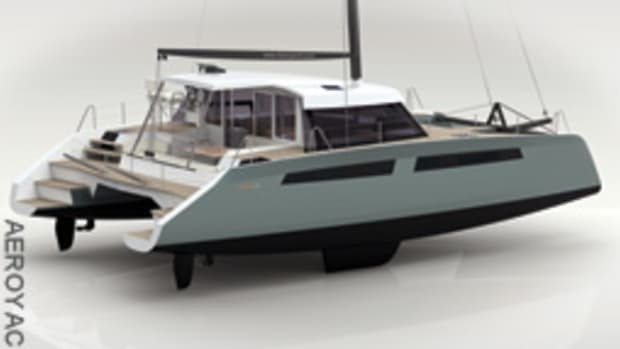 Nothing sells boats like a winner. His competitors farther up the Clyde weren’t falling asleep. George Lennox Watson, especially, was giving Fife II a good run for his money with fast boats — boats that benefited from scientific calculations that helped to predict performance and were gleaned from commercial shipping. So William III was sent away by his prescient father to get wise to the new ways. He apprenticed at J. Fullerton & Co. and Culzean Yacht & Steam Launch Works before taking over the family business in the late 1880s. 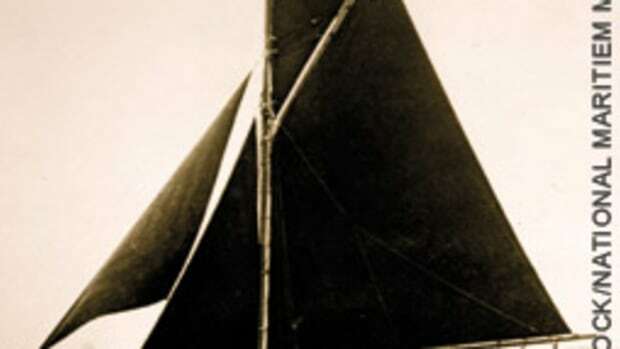 He got a running start, but he also had to work hard to establish Fife of Fairlie as an undisputed leader in yacht design and construction. When he landed Sir Thomas Lipton’s commission for an America’s Cup challenger, Shamrock I, in 1898, Fife had beaten Watson to the punch. But in the Cup match a year later he and his boat got punched by the American defenders and Columbia, which Nat Herreshoff designed. 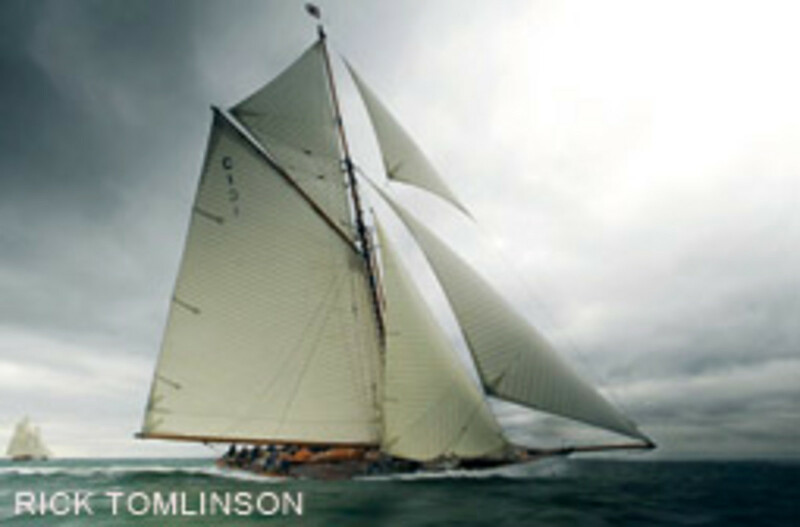 Fife would design another unsuccessful challenger, Shamrock III, which Herreshoff’s Reliance soundly defeated in 1903. 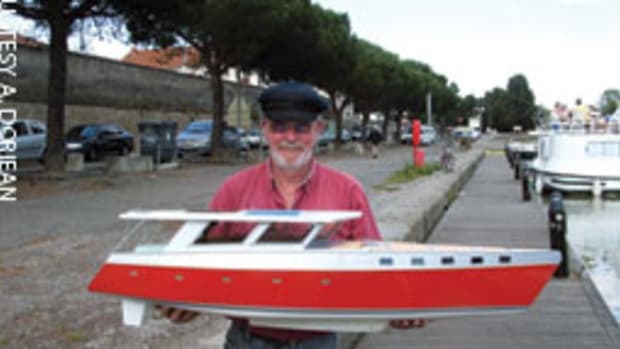 The Cup episodes notwithstanding, Fife remained prolific throughout his career, designing as many as 50 boats a year to different measurement rules and building many of them at his yard. Those that exceeded his yard’s capacity were built by reputable yards elsewhere that had an eye for quality construction. Hence, Fife yachts became a precious and prestigious object of desire for high-profile clients, including Spain’s King Alfonso XIII, who ordered the design of Hispania, one of the eight 15 Meters Fife drew between 1907 and 1913. But the niche Fife really dominated, Christmann opines, were the smaller meter classes — 6 Meter, 8 Meter and 12 Meter — he developed after the introduction of the International Rule in 1907. After Watson’s early death, Fife and Nicholson dominated, with Nicholson holding an edge in the schooners and 15 Meters. 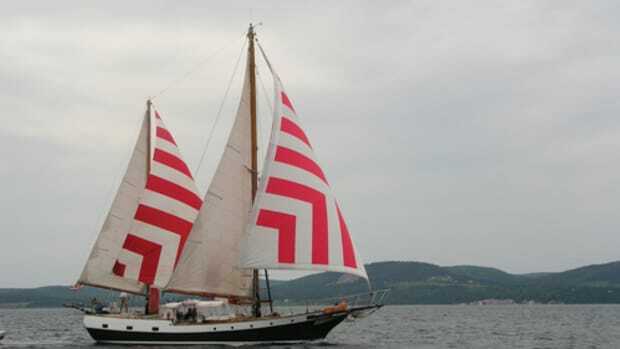 Fife had Nicholson’s number in the smaller classes, which Nicholson acknowledged, suggesting that the 6 Meters should “properly be called the Fife class.” The oldest 12 Meter still sailing is Fife’s Cintra, built in 1909. Like Fife’s book, it also found a home in Germany and is being campaigned in the Baltic. But there were setbacks, too. 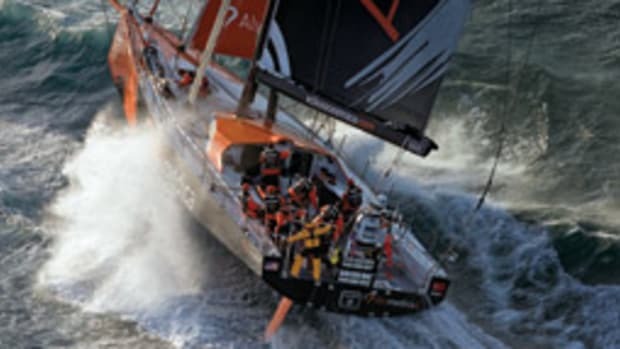 Aside from the defeats Fife suffered at the hands of Herreshoff in the America’s Cup, there was the Waterwitch episode. 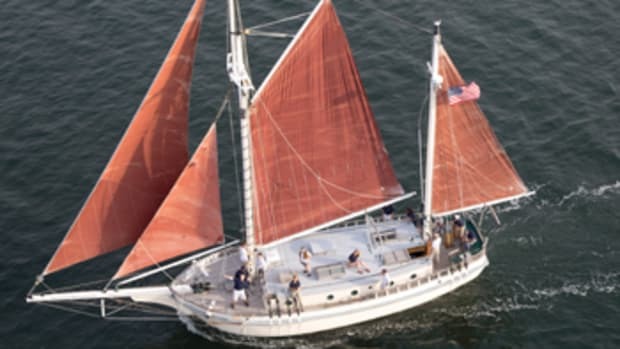 This 120-foot schooner was scrapped by her disgruntled owner, who might have expected a better performing vessel and subsequently ordered a replacement from Fife’s arch rival Nicholson. That episode was the exception, and some of the finest surviving Fifes were not designed to the International Rule — the schooners Adventuress (1924), Belle Aventure (1929) and Altair (1931); the ketches Sumurun (1914) and Eilean (1937); and the yawl Latifa (1936), which sported a canoe stern and won the Fastnet race. William the Third never married, and he had no children when he died in 1944. His yard survived him as the Fairlie Yacht Slip. But that, too, vanished, and today there is little that bears witness to the grand past of yacht design and construction in the quiet town on the Firth of Clyde, an hour’s drive southwest of Glasgow. With that, I closed the yard book that details these distinctive boats — and that William Fife III carried with him on most days of his life. How long will the book stay in Wiesbaden, which is not exactly known for a great yachting history? Christmann did not rule out donating it. “It needs to go back eventually,” he says, but he refuses to name any particular institution. Knowing there is no Fife museum, a logical place might be the Scottish Maritime Museum, which houses a Fife collection. I’m pretty sure William would like that.